Dhaulagiri Pashmina Udhyog is the Nepal’s premier apparel manufacturer of Nepal and exporter of fine hand woven cashmere products. We produced a number of unique accessories, ready-to-wear and lifestyle collection: including over sized hand-spun blankets, throws and scarves. Founded in 1988 by Shiva Kumar Shrestha, Dhaulagiri Pashmina Industry (DPI) is one of the Nepal’s premier manufacturer and exporter of fine hand woven cashmere products. Research and development at DPI extends into a variety of areas. 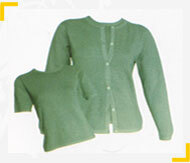 Starting with selecting the finest fibers, DPI is constantly involved in the development of new yarns, dyeing and spinning techniques, weaves and knits. This constant innovation has won us the attention of top fashion designers in Europe and in America. We have produced a number of unique accessories for their couture, ready-to-wear and lifestyle collection: including over sized hand-spun blankets, throws and scarves. 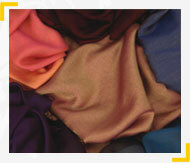 Finest & quality pashmina are available here in different design, colour, print and size.